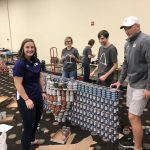 During the holiday season, we are reminded that hunger is scary, which is why Cole partnered up with Incite Design Studio to participate in Canstruction St. Louis. 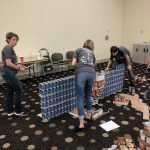 Founded in 1992 by a group of architects and engineers as a way to combat hunger through innovative design, Canstruction features Citywide Competitions where competitors utilize canned food to design and create structures called Cansculptures. 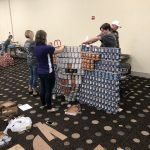 The Cansculptures are then displayed and judged, with awards given in various categories including “Best Meal” or “Best Use of Labels”. 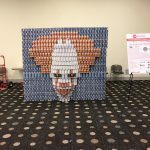 For the competition this year, Incite designed our Cansculpture in the design of Pennywise, the infamous clown from Stephen King’s novel It, with Cole providing an assist with the actual Canstruction construction. 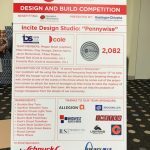 Our collaboration netted the Incite-Cole team two awards: “Best Use of Labels” and the coveted “People’s Choice”! 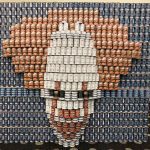 Once the competition is over, the cans are donated to Operation Food Search. 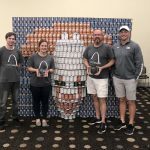 This year, Canstruction St. Louis provided Operation Food Search with 19,512 pounds of food comprised of 17,000 cans + 100 boxes + 48 salt and pepper shakers. A $32,975.28 value, this haul represents enough to feed 4,878 people! 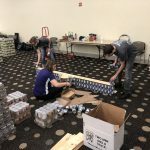 A big believer in giving back to our community, Cole extends a big thank you to Incite Design Studio for teaming up, and gives a shout out to Hastings+Chivetta for organizing Canstruction St. Louis. 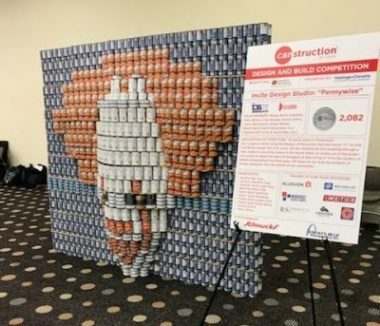 To learn more about the national organization, please visit www.canstruction.org. 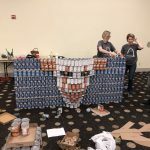 Additional information regarding Canstruction St. Louis can be found on their Facebook page, @canstructionSTL. Winner winner, canned food dinner!